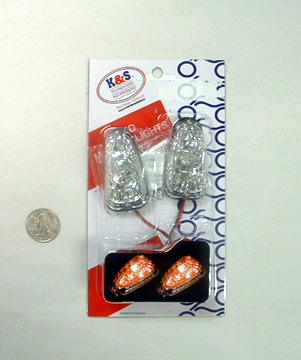 Mini flush mount LED Turn signal. Very small, very light, very low profile. These non-DOT approved LED markers will get the job done, but are not as bright as the mini-stalk LED or standard flush mount turn signals. They can mount to any flat surface using supplied bolts and hardware.